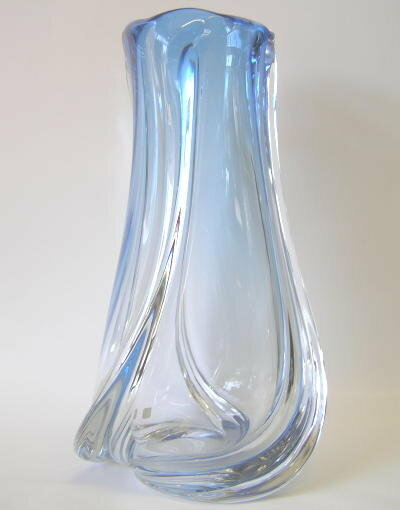 This lovely and tall glass vase by Val St. Lambert is signed on the underside. 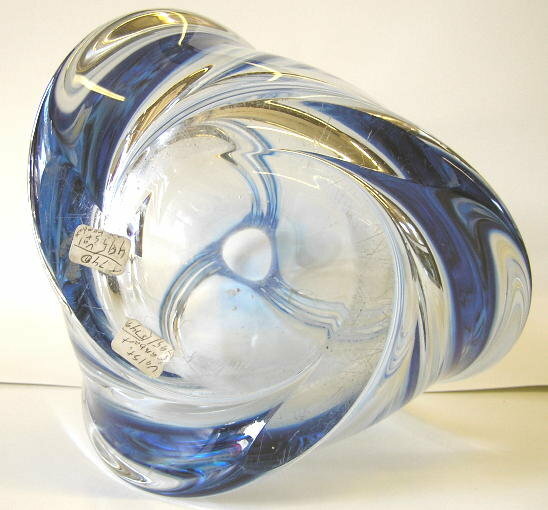 Measures 14 3/8" tall by 7 1/2" wide/deep and weighs an estimated 15-20 lbs. Excellent condition, with no chips, cracks or restorations, nor any known scratches. 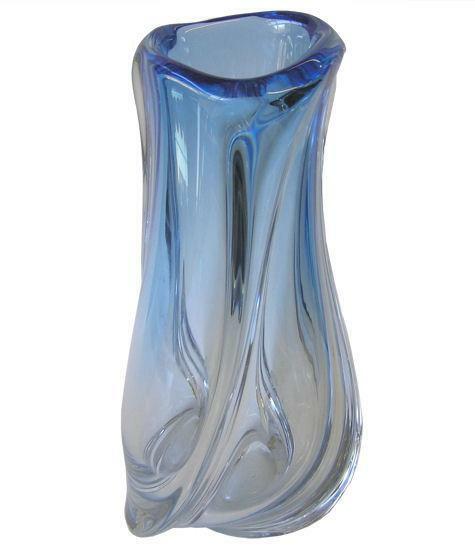 Items Similar To "Val St Lambert Blue-to-Clear Glass Vase"